This is a pretty, two bedroom apartment in the wonderful Eixample area, located just around the corner from the famous Sagrada Familia. This is one of Barcelona´s biggest attractions and the most visited monument in Spain, meaning the area is very popular with visitors to the city. The neighbourhood is very central and is packed full of bars, restaurants and lovely cafés. What´s more, there is a metro station just one block from the apartment, allowing you to reach the rest of Barcelona´s attractions quickly and easily. 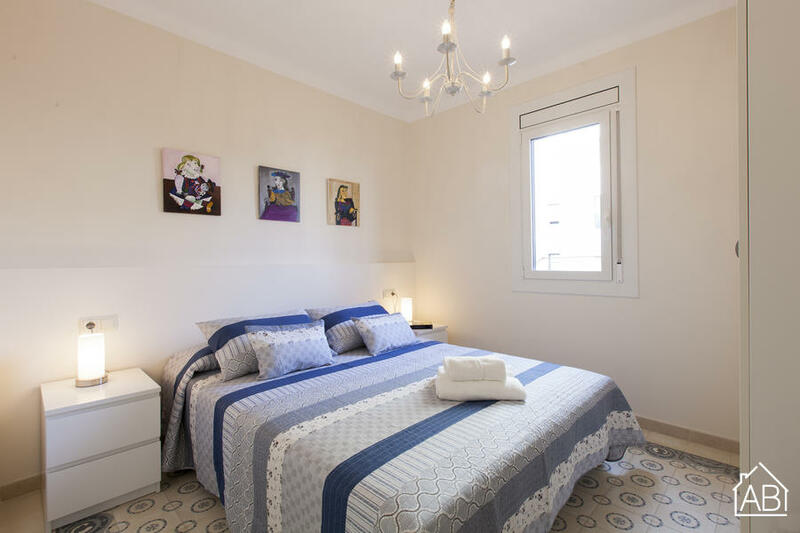 The apartment has two single beds, one sofa bed and one double bed distributed throughout, as well as one bathroom with a shower and another with a WC, allowing guests plenty of space and privacy. There is an Internet connection available, allowing you to stay in touch with friends and family back home. The kitchen is modern and comes fully equipped, plus there is a washing machine and dishwasher for your convenience. With a fantastic location and plenty of amenities, this is a great place to call your temporary home in Barcelona.